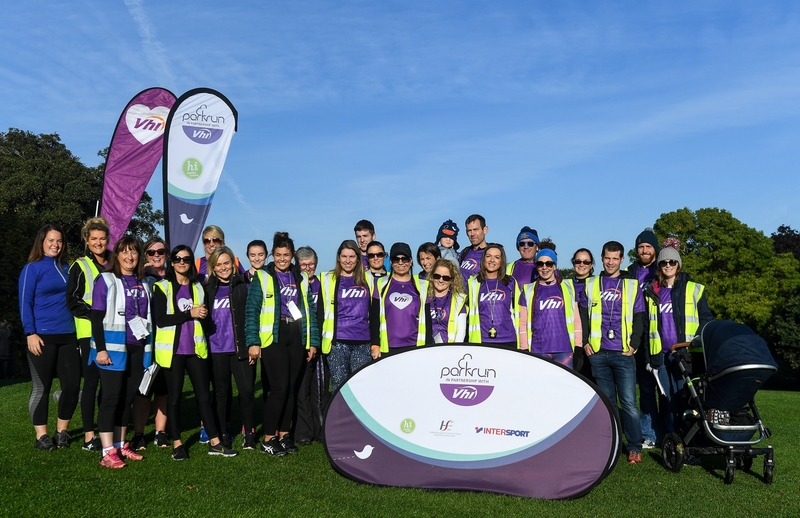 Staff from the Vhi Healthcare centre in Kilkenny staged a takeover of Kilkenny parkrun recently to launch their new parkrun Rewards Programme. Vhi customers can earn free rewards when they take part in adult parkruns across Ireland. Customers can claim their first reward after completing just one parkrun. As they accumulate parkruns particpiants will unlock a variety of different rewards. Rewards include sports towels, LED running lights, phone holders and more. To sign up, participants simply download the Vhi app and scan their parkrun barcode. The parkruns are held across Ireland, with Kilkenny's event taking place in the Castle Park. Held over a 5km course they are free to enter and are open to all ages and abilities, providing a fun and safe environment to enjoy exercise. To register for a parkrun near you visit www.parkrun.ie.